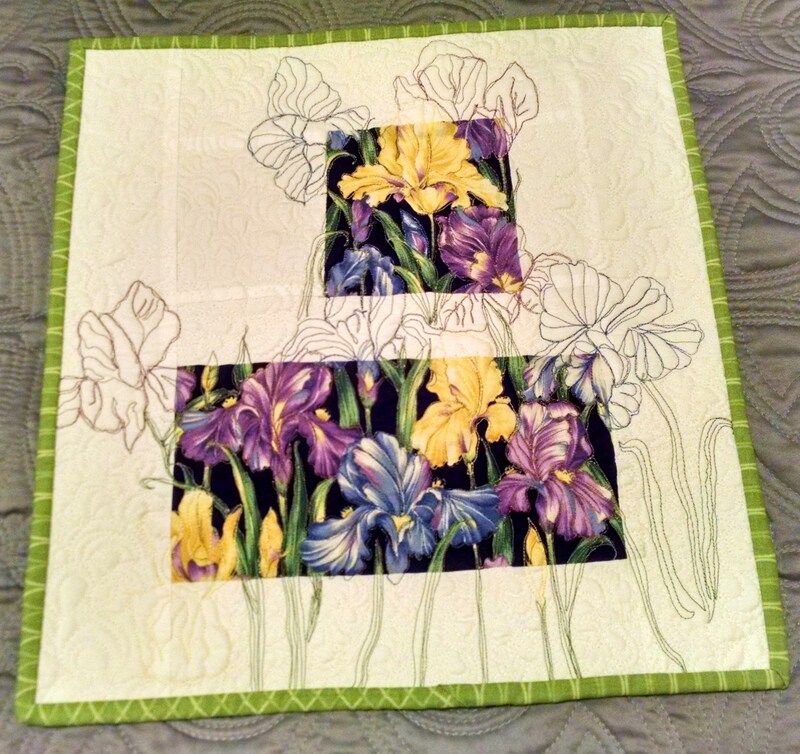 My sewing machine has been humming, and I’m eager to post about it. As a pledge just made to 81 other quilting bloggers, I’ll include more of my processes, trials and tribulations, from this day forward. 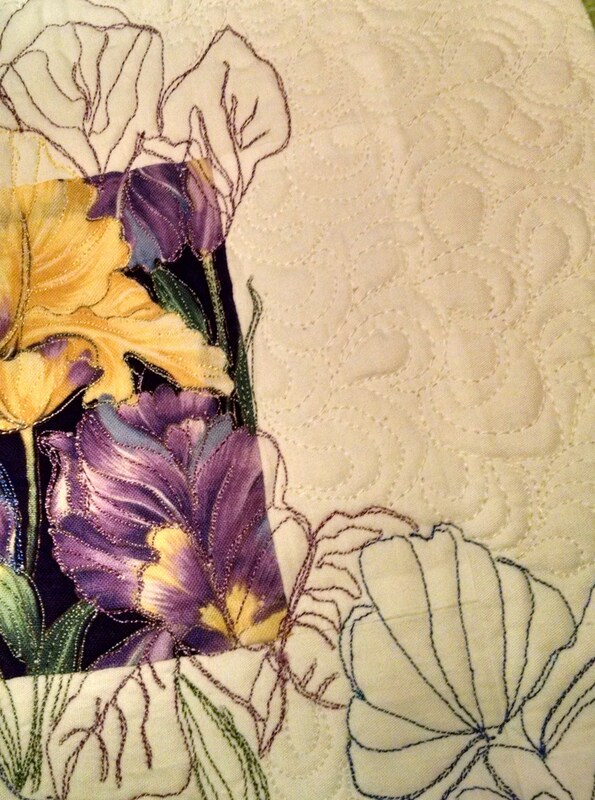 I started this piece as another way to practice my free-motion quilting without boredom. There are so many possible processes when working with thread and fabric that I am constantly trying to incorporate more. These pieces will be far from perfection, but will make me happy to see posted on the walls of my sewing cave. When satisfied with the “sketching”, I changed the upper thread to white and completed the background using some of the free-motion that I am actually supposed to be practicing. I finished with a traditional binding with the hand stitched back side. I like the way this method makes the print fabric begin to resemble applique. Meanwhile, two new presser feet arrived in the mail today, so I will soon be doing some applique and might also be able to complete a better machine stitched binding on quilts which are to get a lot of laundering.